8-2-Eat is my food-focused list series. A perfect Friday distraction. Today, I feature 8 smoky ingredients that are ideal for adding smoky flavors to dishes when actual methods of smoking foods--such as with a grill or smoker--are beyond a cook's reach (like me, since I live in a high-rise apartment). 1. Smoked paprika. This one is a favorite among many cooks, as you can sprinkle it to just about anything to lend a spicy-sweet note of smoke. 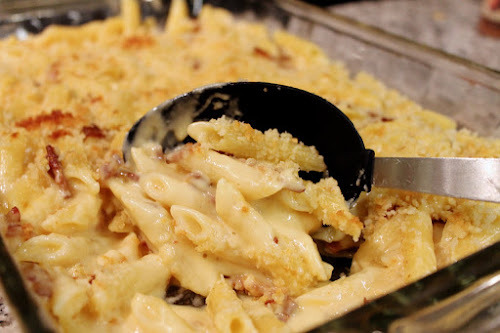 It's perfect for chicken, fish, salads, mac & cheese. Try it in Smoky Waldorf Salad, Broiled Vegetable Skewers and sprinkled on roasted chickpeas in Crispy Kale and Roasted Chickpea Salad. 2. Hickory-smoked sea salt. 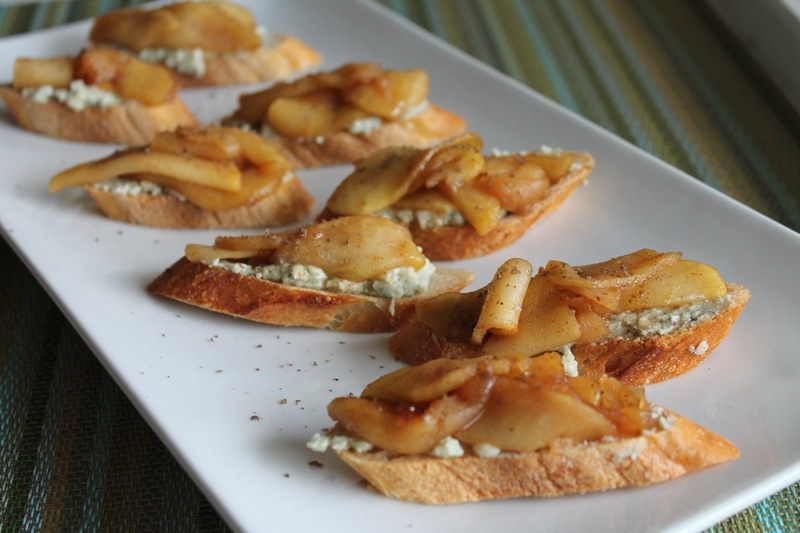 I just discovered the joy of hickory-smoked sea salt last summer, when I found the ingredient for sale at It's the finishing touch for Triple Smoky Apple-Blue Cheese Crostini (pictured at right). It also rims the glass of the Smoked Sage Margarita. 3. Smoked cheese. Just about any cheese can be smoked, but I commonly see smoked cheddar, gouda, mozzarella and blue cheeses available at grocery stores. They are wonderful eaten as is, such as in Crostini with Smoked Blue Cheese, Caramelized Onion and Rosemary or melted into sauces, such as in Smoky Mac & Cheese and Smoky Tuna-Noodle Casserole. 4. Smoked Nuts. I love adding smoked almonds to salads and sides. 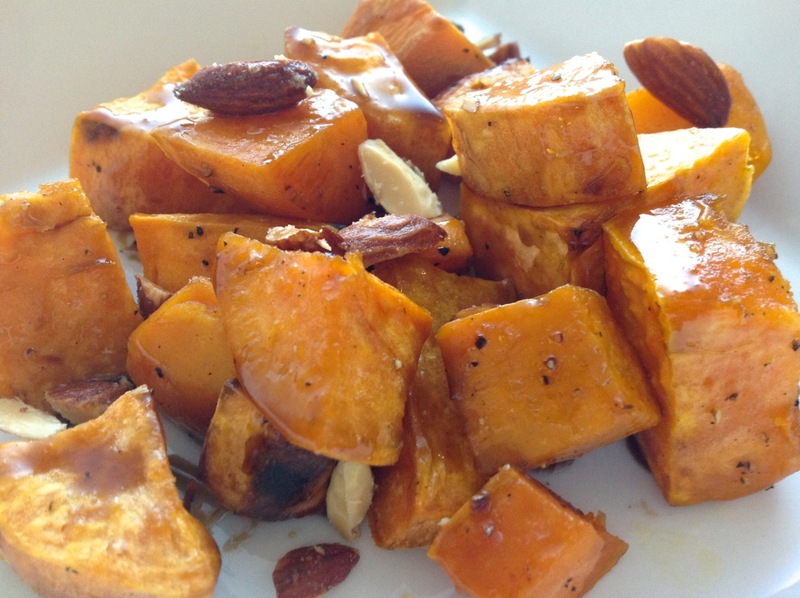 Roasted Sweet Potatoes with Bourbon-Maple Glaze and Smoked Almonds (pictured at right) is addictively good. I've even tried salsa with smoked cashews. 6. Liquid smoke. This is smoke in an almost pure form, condensed from the liquid and solid particles that make up smoke. 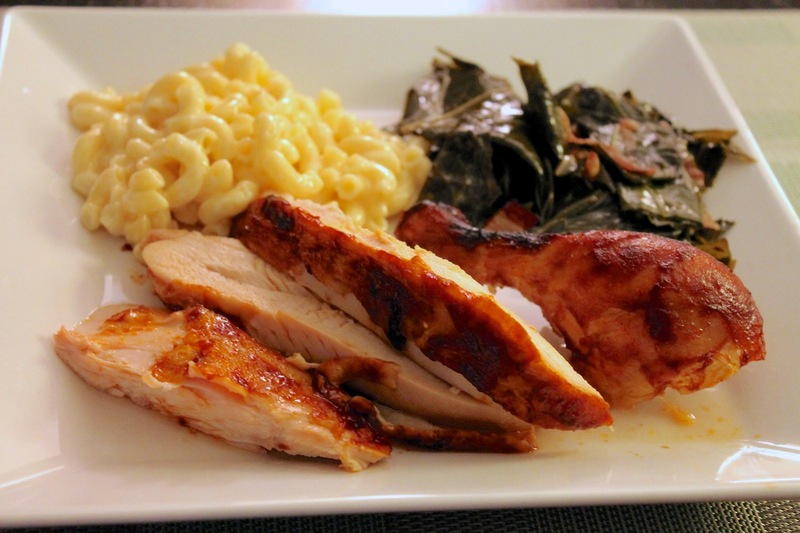 I use liquid hickory smoke to make dishes like Smoke-Brined Oven BBQ Chicken (pictured at right), Smoky Maple Brined Roasted Turkey and Smoky-Sweet Braised Dandelion Greens. 7. Mezcal. This Mexican spirit, a relative of tequila, is made from roasted agave, giving it a marked smokiness that I love in cocktails. Try it in the Margarita on Fire, Smoky Pear Margarita and the Smoked Palomino. 8. Laphroaig Scotch. 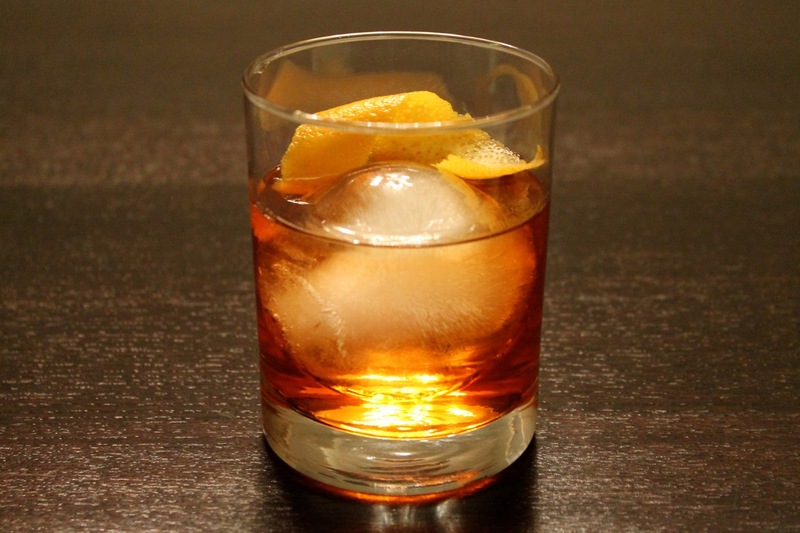 This flavorful Scotch is even smokier than Mezcal, so rather than use it as a main ingredient, I like to "float" a little bit on top of a drink to give it a smoky aroma. Try it in the American Sniper (inspired by the recent film), the Smoky Vanilla Bowery (pictured at right) or The Pam, a summery bourbon and sparkling wine cocktail inspired by the beloved Dallas TV show character.